OrderMyGear: A software platform connecting sports teams, brands/manufacturers, and their distributors to facilitate group apparel and equipment purchases online. Hookit:A sports technology platform that offers the most powerful solutions to quantify and track the value and performance of sponsorships using big data and deep analytics. Shnarped: A sports app that allows users to join a community of athletes, inspire others, learn new things and showcase skills with amazing video editing tools across all sports. SymGym: This interactive, augmented reality workout is based on the SymGym controller. SymGym uses bodily movement to control video game actions. Gearsay: A search and discovery engine optimized for recreational sports. GearSay empowers consumers to find, store, share and interact with content from brands, coaches, top performers, events, experiences, places and more. The applicants are involved in verticals including wearable technology, sports medicine, sporting goods products and sports management software. At the start of the 2016 SFIA ILS, each company will have ten minutes to pitch their new product or service innovation to a panel of senior executive judges. All five finalists will receive recognition on stage during the annual ILS Awards Ceremony and real-time feedback from investors. The winner, who will be announced at the Awards Ceremony, will receive a spotlight in the ‘SFIA Insider Blog,’ additional exposure through SFIA’s marketing channels and a winner’s plaque. In addition, the winner will receive one free year of SFIA membership and a public relations campaign from Uproar PR, an award-winning international firm specializing in sports and fitness companies. Between May 1 and June 27, over 50 companies from across the globe sent in entries to be considered for the ‘Start-Up Challenge.’ From there, the SFIA collaborated with Stadia Ventures Founder & Managing Director Art Chou, to carefully vet and select five finalists. “As the leading agency specializing in the sports and technology industry, we’re excited to not only learn more about the core competencies of each of these companies, but also work with them to develop a strategic campaign that will assist the winner as it continues to progress in this growing industry,” said Catriona Harris CEO and partner at Uproar PR. 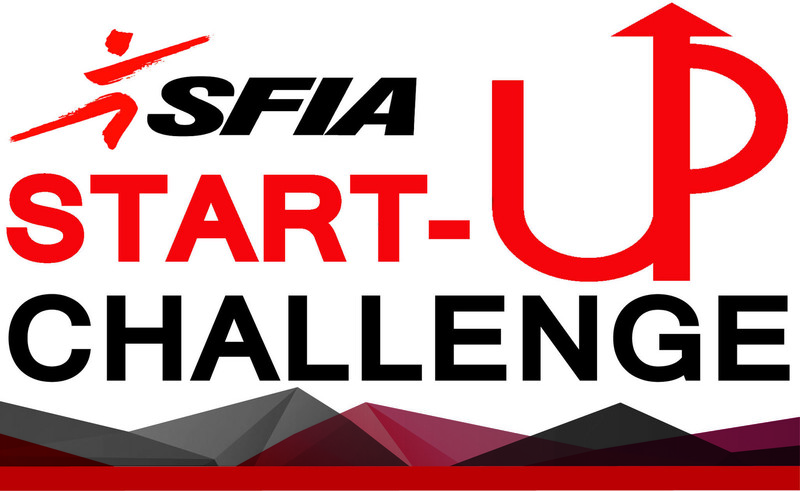 Attendance for the ‘Start-Up Challenge’ will be capped at 130 seats; RSVP to John Peters at jpeters@sfia.org. The 2016 ILS will be held September 14-15 in Denver, Colo. and is already at 90 percent capacity. To register, click here. ABOUT SFIA: The Sports & Fitness Industry Association (SFIA), the #1 source for sport and fitness research, is the leading global trade association of manufacturers, retailers, and marketers in the sports products and fitness industry. SFIA seeks to promote sports and fitness participation as well as industry vitality through research, thought leadership, public affairs, industry affairs, and member services. For more information, please visitwww.sfia.org.